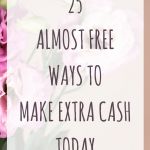 July 2, 2018 By Morgan M Woods Leave a Comment This post may contain affiliate links. 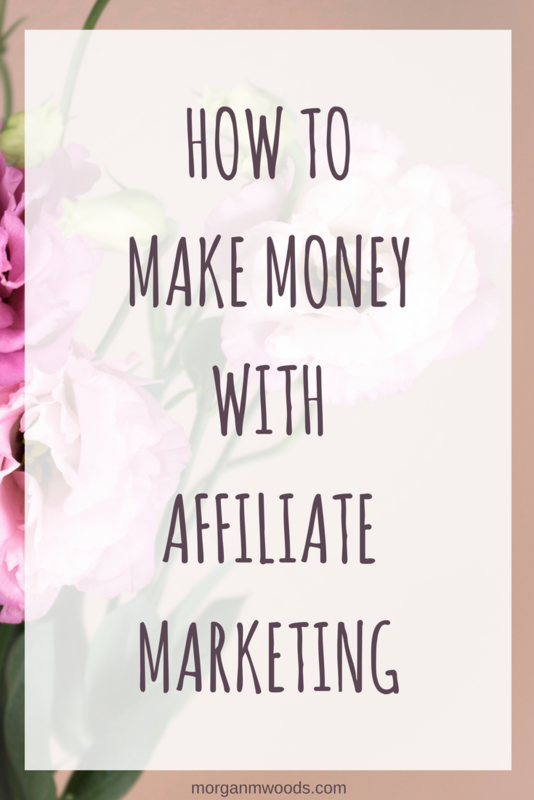 Have you wondered how you can make money with affiliate marketing? I make a passive income of around £300 per month just from affiliates. This means that while I’m spending time with my family, my business is still earning me money. 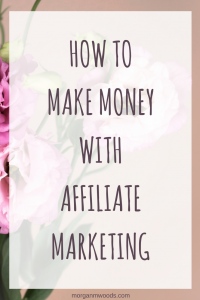 Here is my guide on getting started with affiliate marketing. I started affiliate marketing around 8 months ago with not really a clue what I was doing. I decided that the quickest way to learn would be through a course. 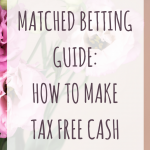 I chose this one from another UK based personal finance blogger and my plan paid off. 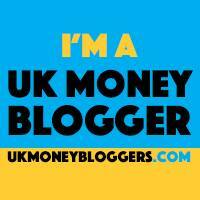 Now I regularly make around £300+ per month just from affiliates. So while I’m spending time with family or friends my business is still working for me. Affiliate marketing is really quite simple. You share a product or service with your readers, they click on your affiliate link and make a purchase. As that person had clicked on your affiliate link the company will pay you a percentage of the purchase. The company pays you this percentage as you’ve made them another sale. 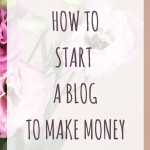 It’s a great way to monetise your blog and a great way for a company to gain more customers and sales. Why is affiliate marketing so awesome? There are lots of reasons why affiliate marketing is so awesome. My number 1 reason is that it is a passive income which means while I spend time with my family, take a day off or even when I’m sleeping I’m still making money. So any work you put in this month with affiliate marketing will pay you for years to come. With traditional businesses you sell a product or your time in exchange for money. With affiliate marketing you don’t rely on selling one single product, you don’t need to hold stock or worry about sending products out to customers. You simply direct your readers to the right place and the company does the rest. Affiliate marketing has a completely uncapped earning potential. You can promote as many different products or services as you like. To get started you will need a website or a blog and you will need to have some content on there. The reason for this is that when you apply to different affiliate programs they will ask for this information. 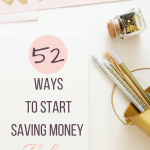 It’s best to start by brainstorming a few products/services that you like using yourself that would be relevant to your blog and your readers. Some companies have in-house affiliate teams and others use affiliate networks such as Awin. I have listed below some of the affiliate networks that I use. Affiliate marketing isn’t quite as simple as just throwing in affiliate links wherever you feel like it. When I first got started with affiliate marketing I bought this course by Emma Drew. 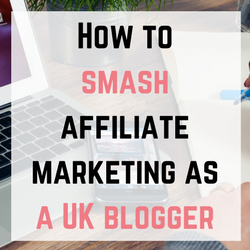 It covers everything you would ever need to know about affiliate marketing as a UK blogger. There are lots of different affiliate networks you can register with. I would recommend starting out with Awin and Skimlinks as I found these two of the simplest to join and use. I have listed all of the affiliate networks that I use below. Ultimate Bundles are another affiliate program that I would recommend joining. The sign up process is super simple and there are so many different bundles you’re sure to find one to fit your niche. 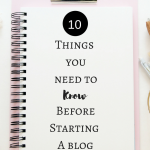 It is really important that you disclose any affiliate links you use on your blog. You can do this by letting your readers know in the blog post and by having a disclosure and policies page. I know there are so many more affiliate networks out there so if you would like to hear about a particular network let me know in the comments.